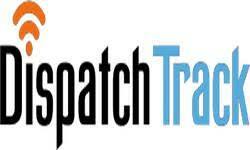 DispatchTrack Software Pvt Ltd hiring Freshers as Software Developer at Hyderabad through Amcat Exam. This isn't a walk-in where you can directly go for interview. You need to apply through the link given below. If you're qualified, company will call for the next. So check the complete details first. Must have taken basics in programming course (C,C++,Java,). Must be familiar with Microsoft Word and Excel. DispatchTrack is a software product company, headquartered in San Jose, California with offices in San Jose, Baltimore, Mysore and Hyderabad. We are an 10-year old company and provide route optimization and mobile dispatch software to the trucking logistics industry. Our customers are mostly in North America and we are expanding into other regions such as Europe and Asia. Our award-winning software is considered as the leading solution in final mile logistics.